In his March 15th Howe Street broadcast, Bob Hoye from ChartsandMarkets.com reports that his firm issued a sequential sell on crude oil Friday. This follows a sequential sell they issued in late February for the S&P 500. 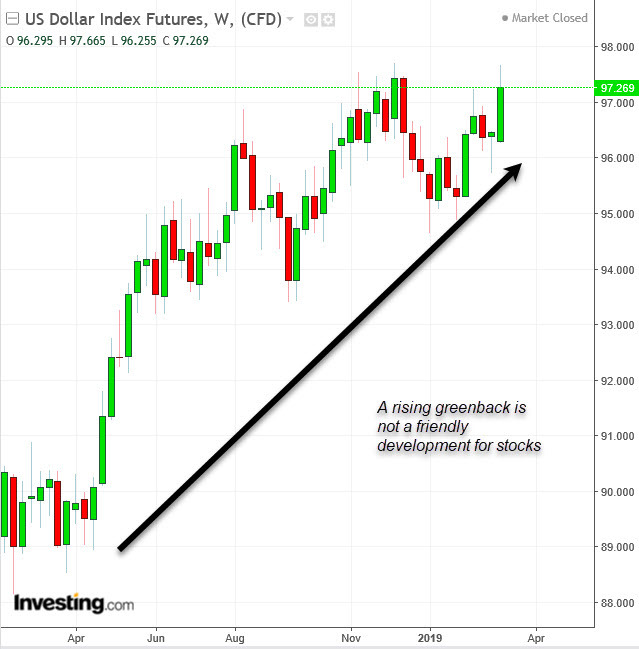 The index subsequently fell about 2% within two weeks before rebounding which Hoye says was accompanied by some short-term term trading buy signals. At this point, Hoye still believes there will be a stock market correction, but it is uncertain how far it will go. In my latest Howe Street interview with Jim Goddard I assess the likelihood that we are heading into a recession. While we may not be there yet, I explain that insider sentiment in the US Industrials sector is flashing a warning sign. I also highlight how we have relatively bleak outlooks on Canada's two major railway stocks, noting insider selling has been taking place even as the companies have been buying back shares. That is a combination we do not like to see. Will Nevada turn cold for exploration? In his March 12th Discovery Watch broadcast, John Kaiser from Kaiser Research Online addresses the question about the future of junior mining exploration in Nevada in wake of the announced deal between Barrick Gold (ABX) and Newmont Mining (NEM) to pool their assets in the state into one giant joint-venture. He also suggests keeping a close eye on expected news from Midland Exploration (MD)'s Mythril project in the James Bay area of Quebec and PJX Resources (PJX)'s Vine Property. There appears to be a consensus among insiders that stocks are likely to face significant resistance at current levels. On Monday, we suggested that insiders were signalling that 1,160 would be a tough nut the crack for the INK Canadian Insider Index. We see the same dynamic playing out in US markets. Like our Canadian-focused INK Indicator, our US Indicator is also levelling off. Such bottoming behaviour often takes place near significant resistance points. As a result, we expect 2,800 on the S&P 500 will be hard to crack in the short-term. If we are wrong, and stocks move higher in the days ahead, it would likely signal a return to a big-stock momentum-investing playbook. That said, we would not bet on that outcome. Insights: Holding pattern, but what's next? This week in Insights, we tackle the question of what is next for Canadian stocks after a nice run in the first two months of the year. 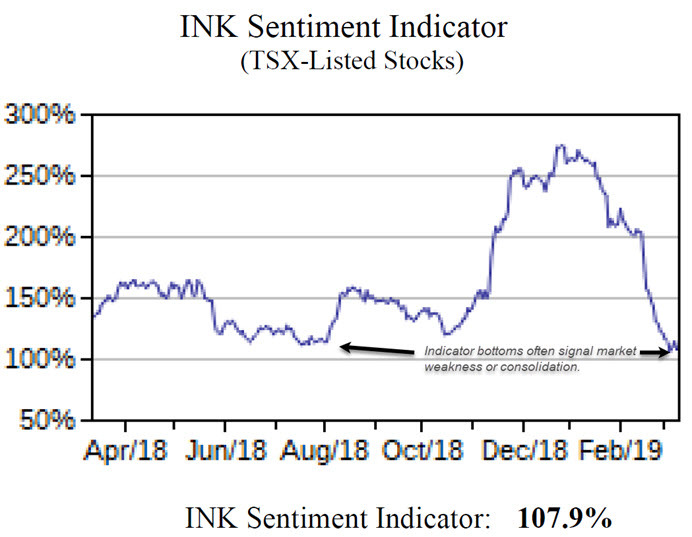 For clues, we look to our INK Sentiment Indicator which is showing some signs of potential weakness. We also highlight our Broadcast of the week and Insider of the Week. Click here to read the March 11th edition (registration not required). Since Bob Hoye from Chartsandmarkets.com issued a sequential sell signal to listeners of his evening February 22nd broadcast, the S&P 500 has fallen 1.9%. In this week's broadcast he characterizes the late December sell-off as having "changed a lot of the magic in the markets", but suggests it is still not known whether the recent decline of the past two weeks will head to new lows. In that regard, the strength of the US dollar has the market historian concerned. We have been digging through the latest IIROC bi-weekly short report looking for nuggets of opportunity. 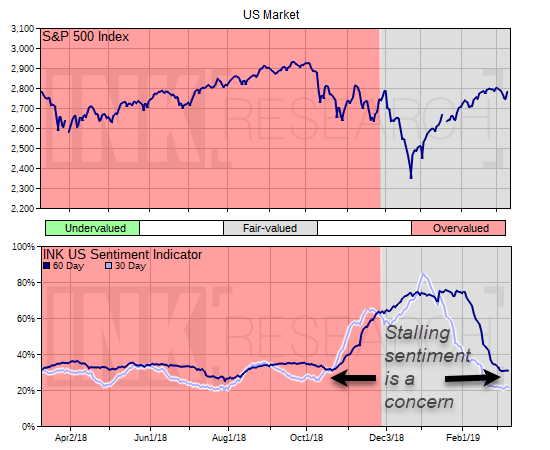 By assessing the combination of short positioning and insider commitment in stocks, we are typically able to spot some bullish or bearish signals. 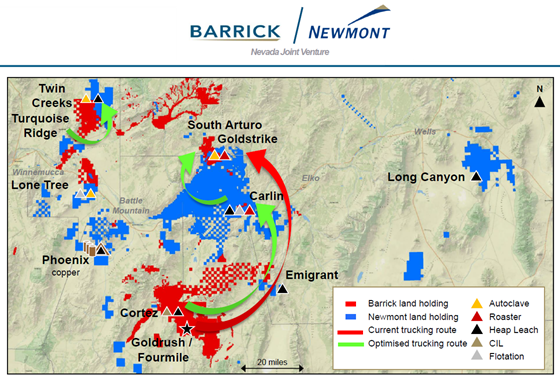 In the latest IIROC report which covers the period between February 16th to 28th, Barrick Gold (Mostly Sunny; ABX) caught our attention. 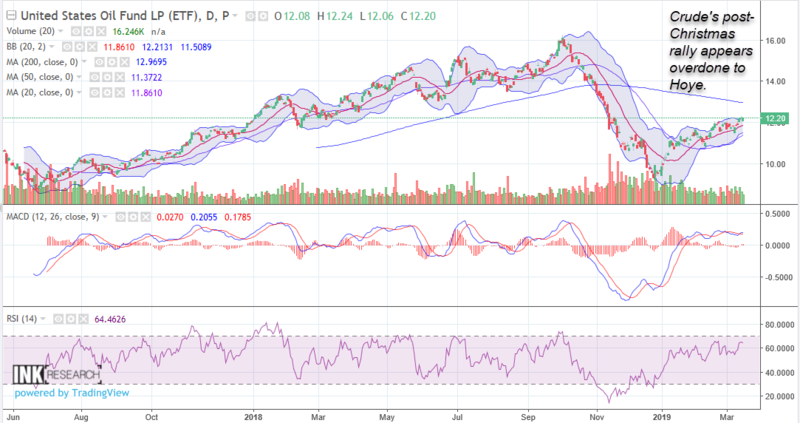 According to the latest IIROC short report for the period ending February 28th, shorts appear to be pressing against insiders at Indigo Books & Music (IDG). The bookseller had a negligible short position in mid-February, but that soared to 3.1% of the stock's float by month end. Short sellers may be betting that the stock is vulnerable to seasonal factors with the busy Christmas shopping season now in the rearview mirror.